These drinks apparently boost your health and energy. Some people swear to by the effectiveness of these drinks and can’t live without them. But there is a darker side to these “healthy” drinks. New studies have shown them to be deadly as they spike your blood pressure and cause sudden death by stroke and heart attacks. With the average American consuming 1.2 gallons of energy drinks per year and sales topping $10 billion annually, the energy drink industry is enjoying a high that shows no signs of decreasing. Manufacturers produce their stimulant cocktails by combining caffeine, sugar, herbs, vitamins, amino acids, and just about any other non-controlled substance reputed to have energizing effects. In fact, the term “energy drink” is not recognized by the FDA and is actually a marketing ploy devised by the beverage industry itself. 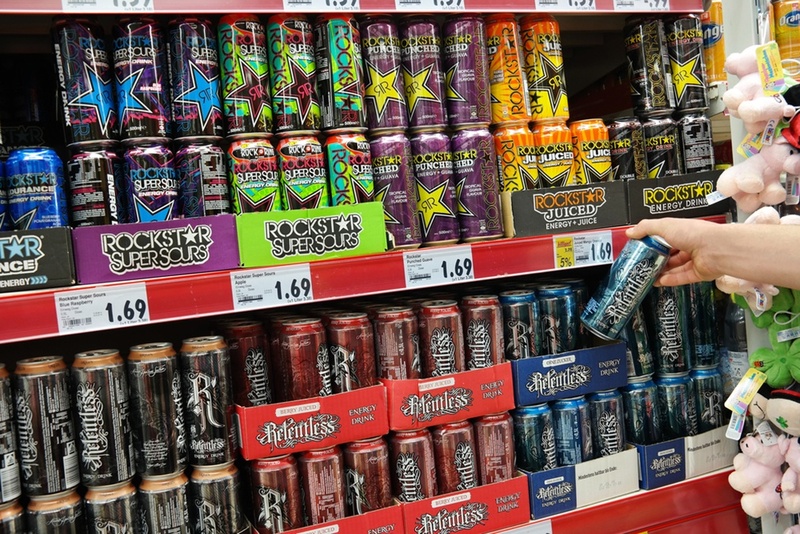 Energy drink companies often point out that their beverages contain less caffeine than a typical coffee shop drink. Likewise, any other single ingredient in a typical energy drink may not be harmful by itself or in moderation. However, the combination of these ingredients can interact in dangerous ways. Energy drinks spike your blood pressure and can keep it elevated for 6 hours or more. They also raise your stress hormone levels and greatly increase your risk of heart attacks. In one study, participant’s blood pressure was increased by 6.4% and adrenaline levels were increased by a startling 74% after consuming an energy drink that contained 240 mg of caffeine – about the amount in 2.5 cups of regular coffee. The drink also contained 2000 mg of taurine – four times the recommended daily serving of this particular amino acid. The amount of caffeine in that drink is not exceedingly high for an adult by many standards, but it is the combination of caffeine with taurine that could be the issue. Though taurine has been known to decrease blood pressure, it can also decrease the effects of caffeine, contributing to a post-drink energy crash that drives users to consume more in order to achieve the boost they are looking for. This could lead to them consuming hazardously high levels of caffeine and, depending on the particular beverage, other stimulants, in the process. Even in healthy young adults, a group that should be most resistant to their detrimental effects, energy drinks have been found to interfere with the transmission of electrical impulses to the heart. As a result, increasing the use of energy drinks has led to dangerous irregularities in heart rhythm in some instances, as well as other situations where the blood supply and oxygen to the heart are suddenly and drastically reduced. And while habitual energy drink users report increased vigor and decreased fatigue, objective tests often tell a different story, one that finds that performance on coordination and concentration tests do not improve and, in fact, worsen over time. The best way to naturally increase your energy and alertness and at the same time lower your blood pressure would be to decrease the stress hormone production in your body.